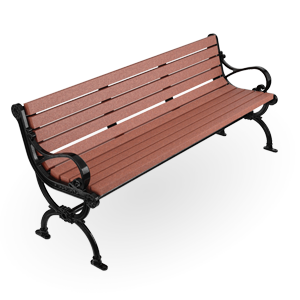 The Arlington AR1-1000 utilizes an Ipe wood slat seating surface while maintaining the signature heritage decorative Arlington cast end. 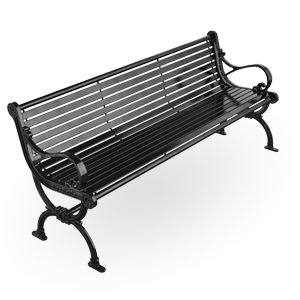 This Victorian bench is perfect for traditional or historic projects. 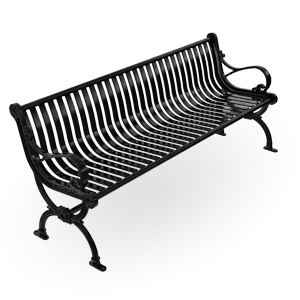 Arlington benches have a recycled material content of 99% of which 87% is post consumer content. This content may vary based on the product design, product material type, and interchangeable piece parts. All styles are 100% recyclable. For more information about SiteScapes sustainable products and policies, please refer to our Environmental Statement.